This is part 4 of te New Zealand Special: After the two days ride and a night at a hostel in Wanaka (I can’t really remember which one but I can remember t hat it had several unlinked buildings, one with a communal area, some with bedrooms and one with the bathrooms, making it freezing to go for a morning shower with minus degrees outside) we started our way to Queenstown. We didn’t linger much in Wanaka which is supposed to be good starting point for walks and ski trips in winter because we neither had the time to do something like this and complete our trip in time nor did we have the money to do so. 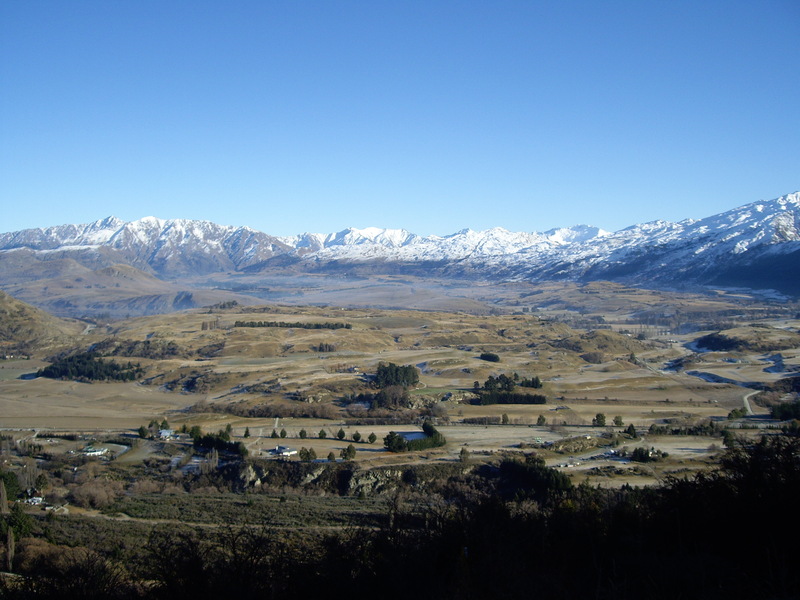 But it is an alpine region so even before we reached Queenstown we had great views. We stopped on the road just to have a look over a beautiful valley. Close to Queenstown we did a little detour. 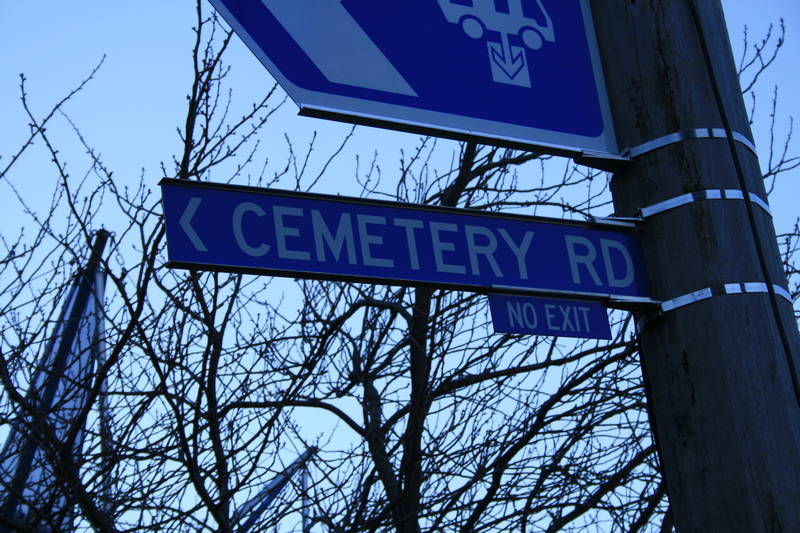 Signs marking the next town as historically worth visiting lead us to Arrowtown. 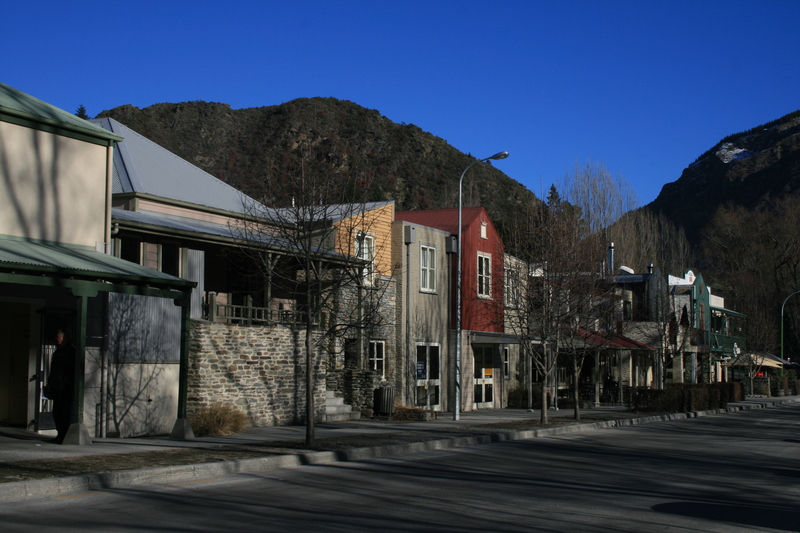 Arrowtown is an old gold mining town and now a tourist attraction. We took a stroll along the well maintained houses on the main street, had a chocolate treat at the spectacular chocolate shop Patagonia chocolates, took some pictures and then went on to Queenstown. Arriving in Queenstown was like entering another world. Wellington did seem small but after two days on the South Island we were all excited to arrive in a town with more than a four digit number of inhabitants. And Queenstown was buzzing. In addition to a most beautiful lakeside location surrounded by mountains it is perfectably placed to be the starting point for the ski areas around. So it had the feel of a lively young ski resort. Obviously the people there couldn’t be all skiers even though they looked like it because they were in town during the day and not somewhere on the pists outside of town but no matter what it was lively and I liked that a lot. 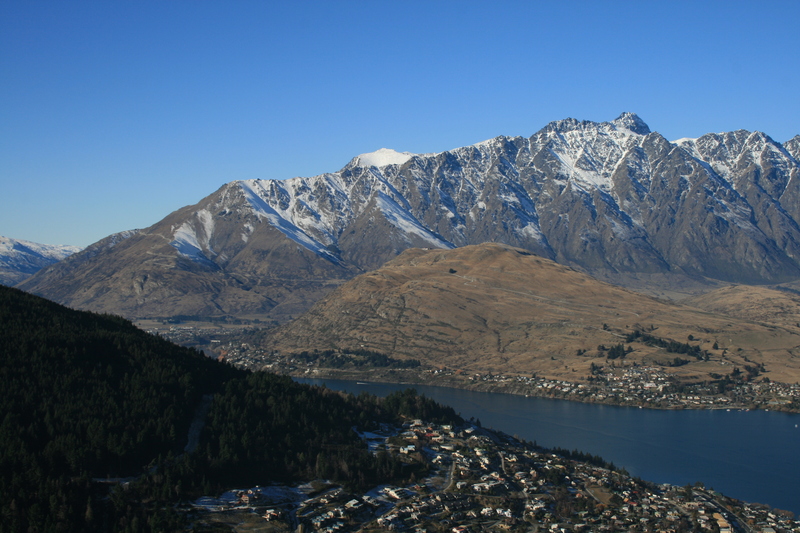 After a healthy burger at famous Fergburger we were ready to reach for the top and took the cable car to go up the mountain to the Skyline Queenstown complex. Up there you can have a great look, do what New Zealand is famous for but none of us dared: bungy jumping, or have some childish fun: a ride on the scenice luge, what we did. We went on the our next stop on the Lake Te Anau near Milford Sounds where we had booked a room at Barnyard Backpackers a hostel on a deer farm a bit out of town because we wanted to do a day trip to the famous Milford Sounds the next day. But more about this trip on Friday. 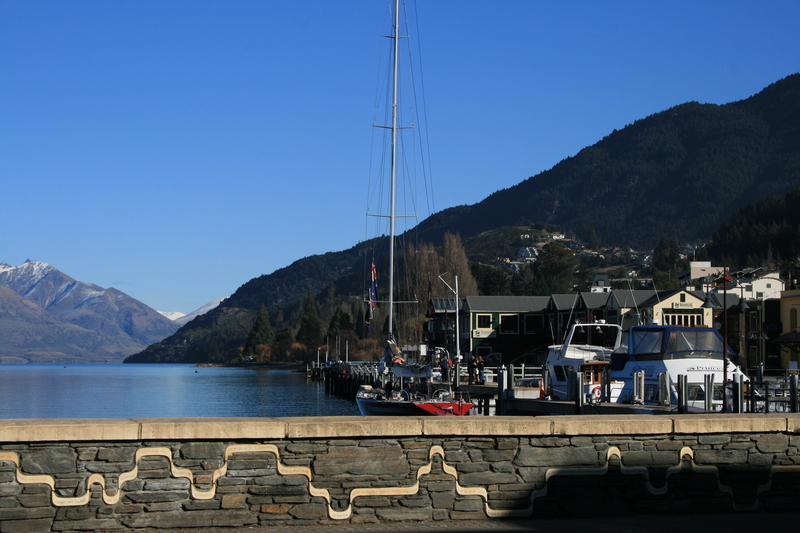 This entry was posted in New Zealand and tagged Arrowtown, Milford Sounds, Queenstown, Road trip, Te Anau by kathatravelling. Bookmark the permalink.